Cantilever frame in chrome steel tube. Upholstery range available: natural leather and fabric. Upholstered main body with polycarbonate core. Available with different types of frame, and upholstered in several colours. For indoor use. 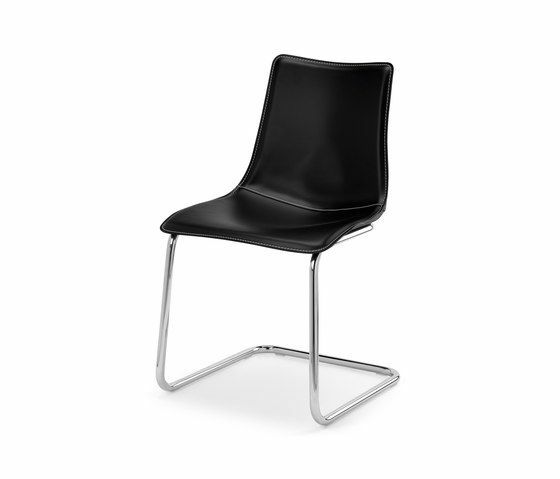 New in 2011 is the high stool model, available in two heights.